BACK ON MARKET! Here's your Second chance at owning this stunning Builder-Model Ranch with Walk-Out Basement in Hutchinsonâs Green Mountain. 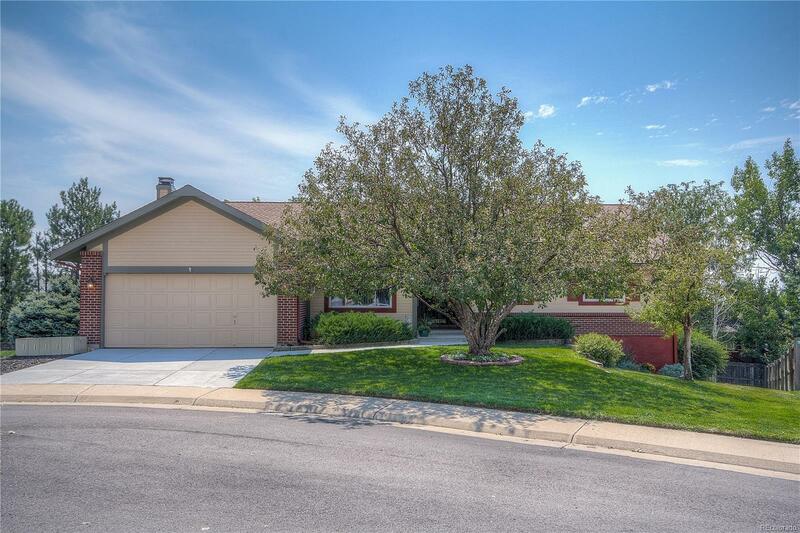 Impeccably maintained home with vaulted ceilings, walk-out basement, and large lot! Rear living area hosts a fireplace, custom built-ins, and access to covered deck. Kitchen provides plenty of cabinets with two large Pan Drawers, super-sized pantry, and island with sink and dishwasher. Master suite with Â¾ bath, 2 beds and full bath on main floor. Walk-out basement offers large living area, 2 bedrooms, Â¾ Bath and ample storage. Large covered patio, built-in garden storage, and over a quarter acre of lawn and garden in back. Updated lighting, double-paned windows, new roof and fresh exterior paint. American Home Shield ShieldPlus Warranty included! Close to C-470, HWY 6, easy access to Denver, DTC, Centennial, Mountain Towns and Skiing. Walk to Coyote Gulch Park, and drive to Bear Creek Lake Park, Red Rocks, Bandimere, Dinosaur Ridge, and Golf.